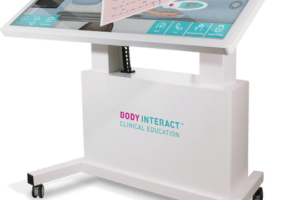 A patient simulator is any kind of manikin that mimics human anatomy or function (physiology) which can be used to educate students and train healthcare professionals. Patients simulators are most frequently used in simulation centers and come in a variety of models, from preterm infant patients to geriatric patients, but also include obstetric birthing simulators, surgical simulators, military simulators and more. The level of realism is referred to as fidelity, and is explained further alongside some of the leading manufacturers and uses from the field. The benefits of using healthcare simulation to improve medical education is now well documented in the literature. Clinical expertise comes with practice and experience. Clinical Simulation allows practitioners of all levels and healthcare disciplines the opportunity to practice and improve their clinical skills without any potential harm to patients. 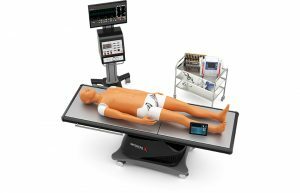 Patient simulators are most often used in academic institutions, academic medical centers, government research organizations, hospitals and clinics and military training centers. 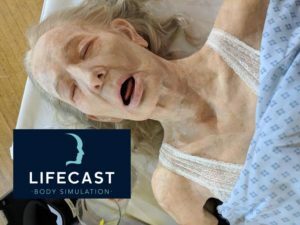 The 2.5 billion dollars generated worldwide by the companies that manufacture and develop human simulators speaks to the spread of their use around the globe. 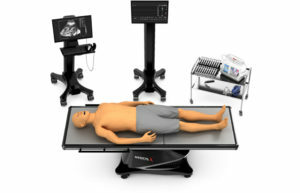 Patient simulators are broadly divided into low, mid and high-fidelity manikins. The level of fidelity identifies the degree to which the manikins can replicate various human physiological functions. 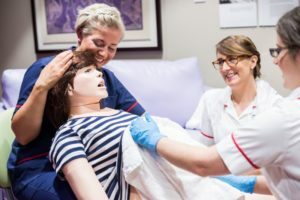 Low fidelity manikins or task trainers are simple, static models which are often used for repetitive task training such as inserting urinary catheters or starting IVs. Simple silicon wound models allow learners to change dressings or practice suturing. 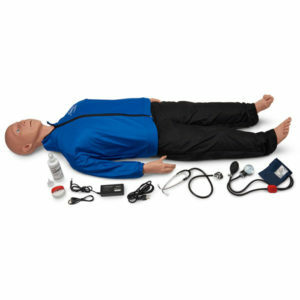 Basic cardiopulmonary resuscitation manikins are used extensively to train professionals and public how to perform chest compressions and rescue breathing (CPR training). Mid-fidelity manikins are more complex. Many contain electrical components that mimic basic body functions such as cardiac and respiratory function. 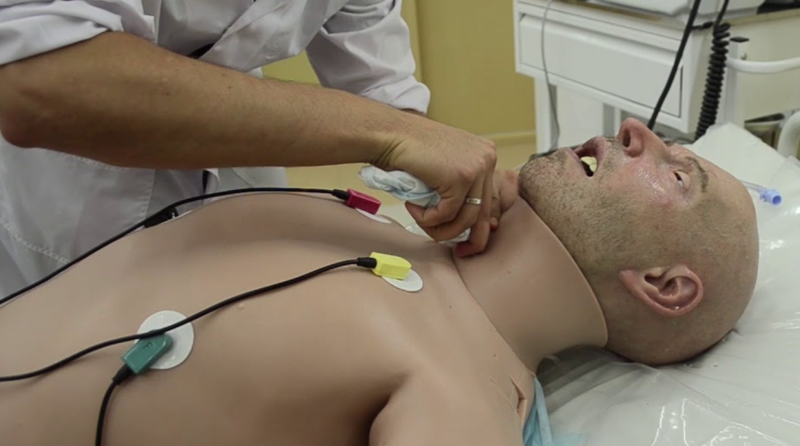 These manikins can be used for simple simulations where the learner needs practice assessing vital signs or they can be used in simple scenarios where interpretation of complex physiological functions is not required. They are used extensively for basic nursing education. For example, first year nursing students practice giving medications. Some medications can only be given when vital signs are within certain limits.  Manikins can be programmed with basic cardiac, circulatory and respiratory data. Learners must first assess the manikin and then make an independent decision about whether it is safe for them to give or hold a medication. 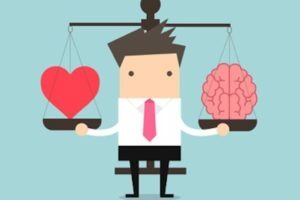 These decisions build clinical competence and expertise. 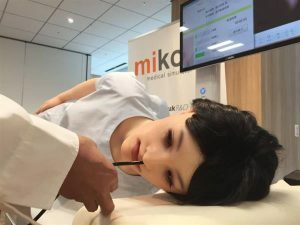 The ability to practice with manikins shortens the time needed to learn new skills, prepares the learner ahead of actual patient contact and most importantly, reduces the risk of potentially fatal errors. 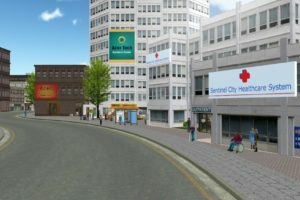 HealthySimulation.com is dedicated to providing the latest Patient Simulator news and Medical Simulation resources from around the world. To follow along, sign up for our free email newsletter, follow @HealthySim on Twitter and @HealthySim on Facebook, or join our HealthySim LinkedIn Group! At the highest end of the scale, whole body manikins, like the SimMan3G from Laerdal, can simulate (mimic) multiple complex body systems. A manikin is considered high-fidelity when its functions closely resemble human physiology. 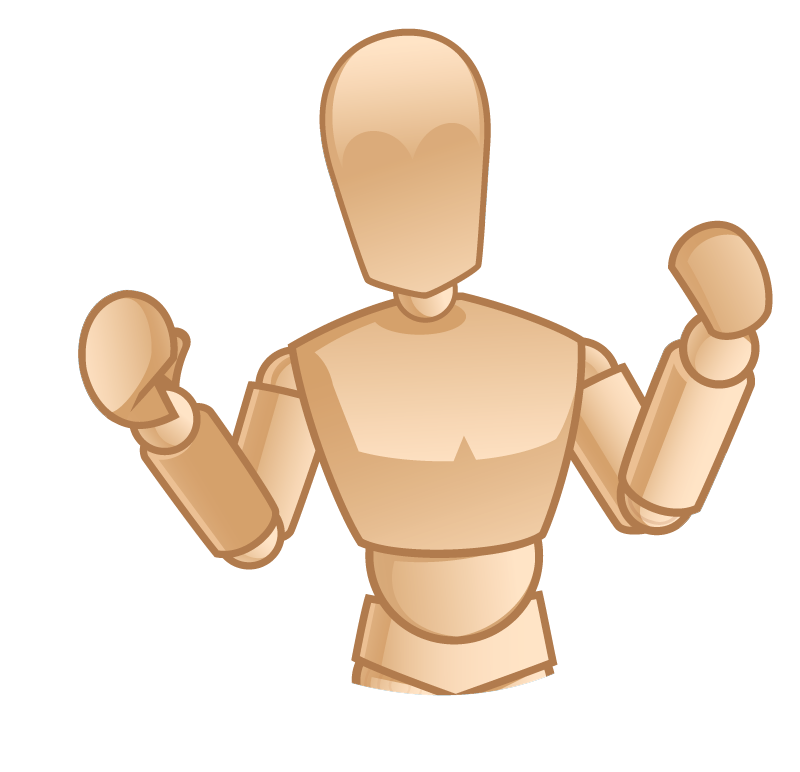 For example, high-fidelity manikins have chests that rise and fall, variable respiratory rates, audible chest sounds, palpable pulses, audible cardiac sounds, normal and abnormal cardiac rhythms including asystole, and bowel sounds to name but a few. They can cry, their pupils can constrict, they can shake as if having a seizure and they can speak. Many have pre recorded statements such as “my chest hurts” or “I feel like I’m going to throw up” while others can transmit speech from an educator in another room. These manikins are complex pieces of machinery. They are operated by a specially trained simulation technologist who is responsible for not only operating the manikin but also for preparing an entire simulation, ordering supplies, recording and playback of sim events, servicing the manikin and troubleshooting any problems that arise. Some education sessions will require multiple sim technologists. Typically, these specialists are in a separate control room with multiple computers and screens. An educator, also known as a content expert overseas the learners and enables them to reach the clinical objectives for a particular session. Some of the high-fidelity manikins like those from CAE Healthcare or Gaumard are highly specialized. For example, trauma manikins are designed to train healthcare practitioners in the military or emergency departments. The manikins may have partially severed limbs or burn injuries. These emergencies require the medical team to respond rapidly to save lives. 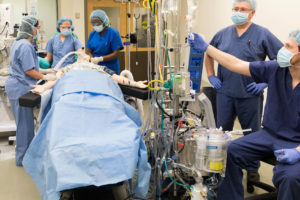 Mass-casualty simulations involving multiple manikins, provide responders drills for emergency response systems, triage training and team interactions. 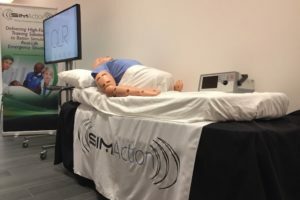 If you want to learn more about such simulators but don’t have time to wait for healthcare simulation conferences like SimGHOSTS, IMSH, or INACSL, then complete the form through the link below to be connected with leading manufacturers now. 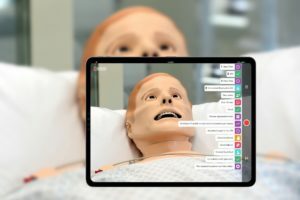 Click Here to Instantly Connect to Leading Patient Simulator Manufacturers Now! Birthing manikins, or Birth Simulators, simulate labor, delivery, newborn emergencies and postpartum critical events. The manikins can deliver babies in the normal head down position or in other positions where quick interventions to save a baby or mother are needed. Neonatal and pediatric teams can practice caring for preterm babies or babies with other health issues and obstetricians and midwives can practice caring for the mother with postpartum hemorrhage or cardiac arrest. Since the above events may not occur very often, simulation provides an opportunity for the team caring for the mother and baby to practice and be ready. Pediatric manikins of various ages are used extensively to address health issues specific to a given developmental level. Clearly human simulators play a vital role in preparing the next generation of healthcare practitioners, aid in development of new products and procedures and ultimately improve patient safety and save lives.